Near Dixmude, Belgium, lives Walter Deklerck. He is retired, but keeps designing and building 'bicycles', most of which are trikes. Walter himself rides a tricycle as a result of a balance problem due to being deaf. He built his first trike when he was in his early fourties. He was working in a milkfactory when a co-worker told him about a tricycle he had seen in his neighbourhood. 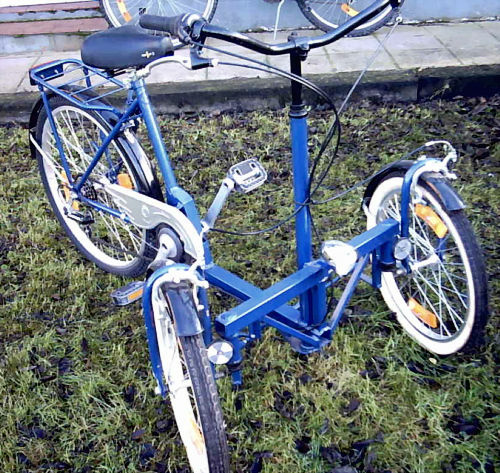 Walter placed an advertisement in the local paper to come in contact with the trike-owner and then made a copy the trike, using nothing but scrap metal. 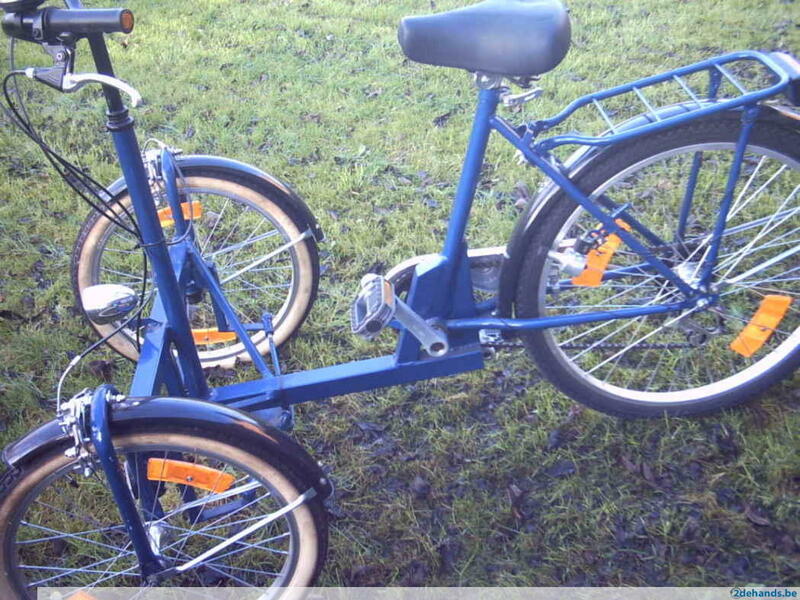 After testriding it for a while, he built a second tricycle, using proper bike materials. Walter was then bitten by the trike-virus, and at the age of 46 he went to night school, to become a 'true' bicycle mechanic. He kept on working in the milkfactory, but opened a small cycle business during the evening hours. Besides tricycles, he also designes and builds tandems, surreys and even circus bikes for a local clown. If you'd like to get in touch with Walter, please use my contact form: I will forward your message after translating it for him, since he's not fluent in English.